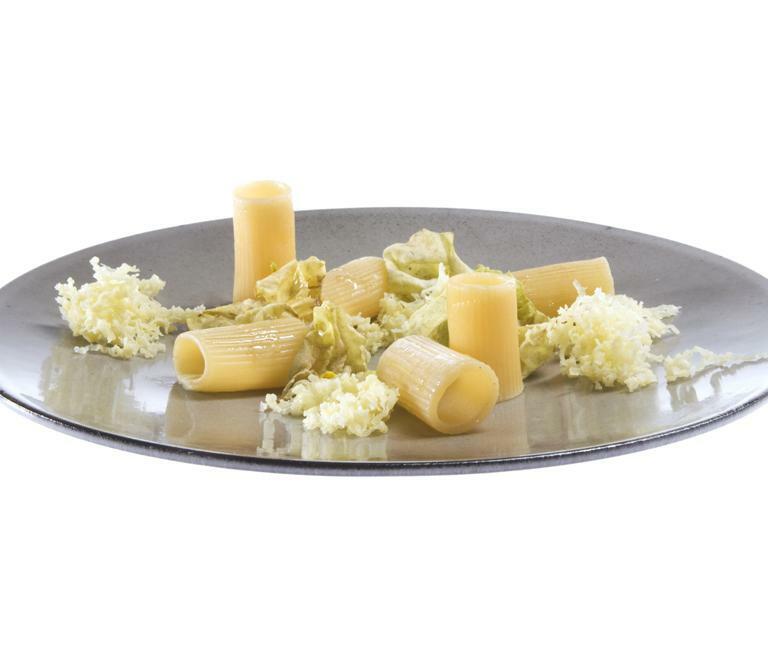 Cook the rigatoni in plenty of salted water for 10 minutes. Melt the cocoa butter and add the extra virgin olive oil; pour into a square mould and leave to set in the fridge for 2 hours. Take the oil butter out of the mould and grate it onto a serving plate. Add the cooked rigatoni and season with a little salt. Dress the lettuce leaves with icing sugar, liquorice powder and fine salt. Place the lettuce leaves on the grated oil. End with the micro cress.